The project’s success would lie in its ability to be a new destination, destination to work, shop and meet in south-west of Imphal. The site offers a great opportunity being located on the newly expanded highway leading to Loktak lake and Nambol and in close proximity to schools and colleges. 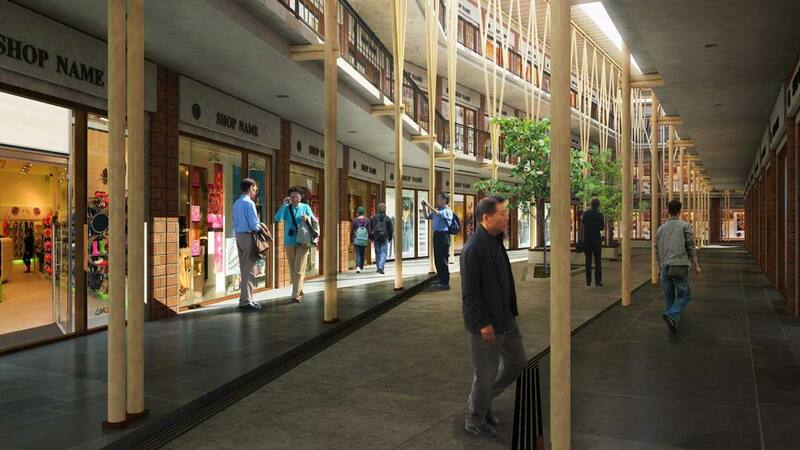 The complex aims to be a catalyst for social meetings, communal activities and an extension of the ISKCON temple complex located opposite the site. By virtue of its many uses viz-a-viz local shopping, premium retail, offices and restaurants, this complex would remain active most times of the day. 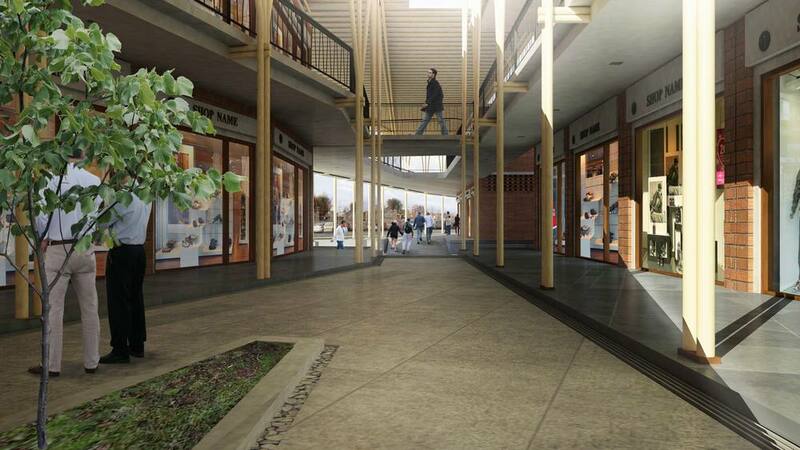 The ground and the first floor level contains the shopping since it requires maximum visibility and frontage. The second floor would be occupied by the offices to avoid the traffic noise . Access to second floor is directed and doesn’t follow the circulation of the retail floor to avoid congestion and unnecessary traffic. The proposed scheme aims to establish a new shopping led mixed use typology which is a combination of street shopping and an introverted and enclosed mall. The both ends of this complex is deliberately opened allowing visitors to engage with the building. This creates a public plaza ., a quasi public space with the intent to draw visitors into the inward facing shops. Integral to this is the importance of sensitive scaling, well proportioned geometry and thoughtful materiality. Scale of the façade is meant to be in harmony and not overpower or undermine the ISKCON temple opposite this complex. Certain repetitiveness though the bamboo columns is established with reference to the temple façade / boundary wall. Integration of landscape within the plaza softens the space. The plaza allows for air circulation and natural daylight within the building. Modest building materials are deliberately selected in keeping with the spirit of teachings of ISKCON - exposed brick, bamboo and concrete. Bamboo being a locally available material and easy to source forms the framing for the lightweight roof structure covering the plaza and the corridors. 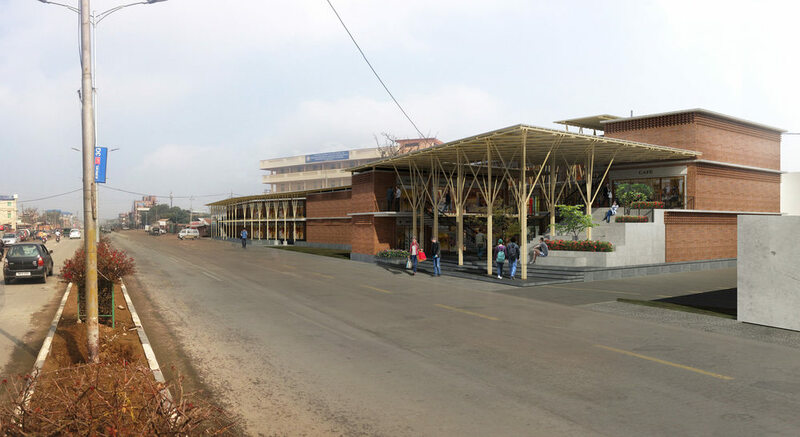 New construction techniques and innovative use of bamboo aims to establish a new building vocabulary that belongs to the place. Bamboo colonnade supporting the lightweight roof structure line along the edge to provide a strong language to integrate the entire length of the complex, thus providing an architectural expression for the place. Owing to its, this place would seem as a large complex as one sees from the highway.All the walls are made of brick with certain play in perforations to allow light and air when required for cross ventilation. Since power supply is unpredictable these perforations provide natural light through the day. Brick requires minimum maintenance. The structural elements of columns and beams are concrete.